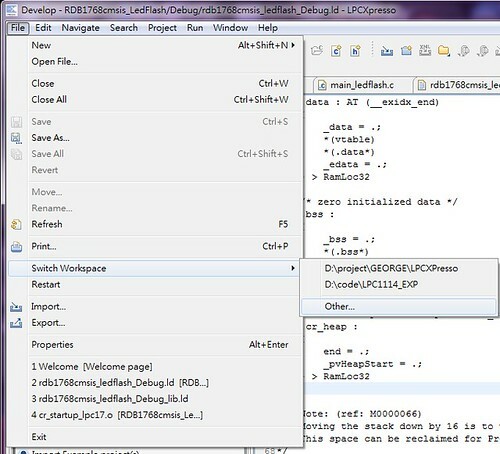 (圖3) 2處 Project Ex 內會出現匯入的兩個project. 如下圖. 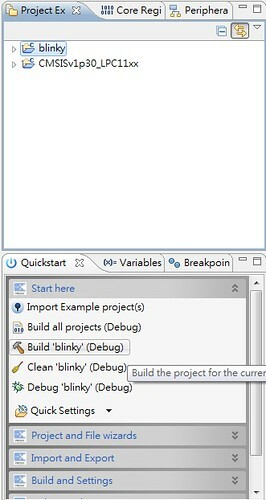 接著Quickstart->Start here ->Build'blinky' (Debug) 按下會開始 build動作. build後,結果會顯示在(圖3) 5處. 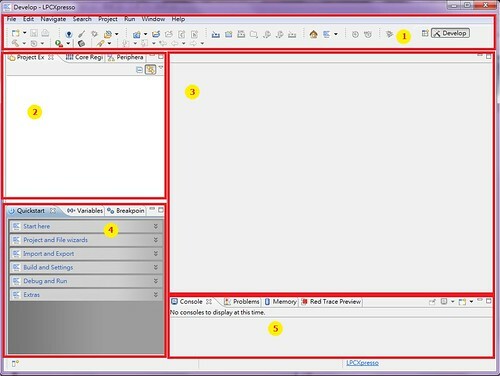 Consle and Problem view . 第一次接上LPCXpresso可能要先注意, 電腦管理->裝置管理員->通用序列匯流排控制器 內是否有 "USB Device with DFU Capabilities"
若成功進入debug mode之後,會出現圖5 框起的Debug view並且停在main 後第一行.